The Langley AFA Chapter hosted the annual Airpower Symposium and Salute to Team Langley. 2019 proved to be even better than last year as the symposium program is expanded, built on past successes, covered more information on wider relevant topics, and provided more opportunity for cross reference with Air Force leadership and industry partners. Air Force Adaptive Basing Concept (e.g. deployability and connectivity). Lunch presentation from Lt Gen (ret) Bruce Wright, new AFA President. The afternoon held classified sessions with 24th AF/CC discussing Cyber Operations and a classified requirements presentation from ACC/A5. The SALUTE TO AIRMAN dinner honored several deployed Airman with awards and offered attendees greater opportunity for engagement and social interaction. The speaker was General (ret) Frank Gorenc, former Commander, U.S. Air Forces Europe. The Symposium was well run and attended and was a jump start for BGI to further engage in the CYBER business. CEO Phil Dismukes attended, fortifying existing partner relationships while building new frontiers with several CYBER focused company representatives. On October 18, 2018, the National Institute of Standards and Technology (NIST) hosted a day-long workshop to educate industry and government representatives about the security requirements applicable to Controlled Unclassified Information (CUI). Hundreds of attendees, in person and via webcast, learned about the implementation and assessment of CUI. Defense contractors are familiar with these security requirements through various DFARS clauses, which mandate protective measures for CUI and the ability to respond to a cyber incident involving this information. Additionally, a heightened focus on supply chain vulnerability (reference MITRE’s August 2018 report, “Deliver Uncompromised”) has amplified the need for strict security controls on contractor IT systems, as well as a more robust oversight by DoD of these systems. Because of this, we can expect, in the not-too-distant future, that contractor IT systems will be assessed for cybersecurity compliance by a responsible entity, yet to be determined. The resultant “rating” may be relevant in the contract bidding process, and/or the ability to continue working on existing DoD contracts. Protecting all contractual information remains a critical factor in protecting the warfighter. As more and more emphasis is placed on supply chain vulnerability, maintaining strong cybersecurity practices is essential for all contractors that do business with DoD. The Combat Air Forces (CAF) Weapons and Tactics Conference (WEPTAC) is an annual two week event that brings together hundreds of warfighters from the CAF to discuss current issues, to look at future issues, and to provide solutions for joint employment of forces. New technology is the key area. Attendance is primarily Air Force personnel, but there has been an increasing amount of participation from the Army, Navy and Marines. This movement focuses on joint warfighting. It is hosted by the United States Warfare Center and run by Air Combat Command Directorate of Operations. An independent Industry Trade Show runs concurrently during the second week of the CAF WEPTAC and is open to all defense industry organization including small bushiness who want to showcase their existing and future technologies and capabilities. It presents an opportunity for the defense industry to meet with warfighters who currently use or potentially will use their products. They are able to obtain direct feedback from the actual warfighters on what they like and don’t like about existing products technology and hear about products they would like to see in the future. Industry representatives may participate if invited by the working group chairman. BGI will be attending both the industry trade show and several of the sessions in the second week. “Many of our existing relationships in industry and current contracts were the result of attending WEPTAC. It is the best conference for warfighter integration and exposure,” says CEO Phil Dismukes. BGI looks forward to attending the Interservice/Industry Training, Simulation and Education Conference (I/ITSEC) from November 26 – November 30 at the Orange County Convention Center in Orlando, Florida. I/ITSEC is the world’s largest modeling, simulation, and training conference and is the catch all for Simulation and Training business. BGI has attended I/ITSEC for the past 21 years and again this year will be there in force with over a dozen employees supporting demonstrations, customers and our own existing program management and business development initiatives. Each year there is a strong conference theme, this year’s is “Launching Innovations in Learning: Ready. Set. Disrupt.” This is directly in line with our BGI emphasis of meeting the needs of the customer by thinking outside of the box, inventing, and exploring to ensure that military and civilian personnel are comprehensively trained to face the many challenges posed by the continuously changing environments where they operate. This aggressive solution-oriented pursuit stems from the highest levels of DoD leadership and the history of BGI’s desire to be out in front supporting the warfighter. BGI’s forward growth demands that we comprehensively understand the ever-evolving and dynamic environments faced by the warfighter, to help us position our core competencies and pipeline. Our ten year vision centers on all aspects of training and I/ITSEC is the ultimate environment to engage our customers and strategic partners and learn about the changing needs and requirements in the industry. The lessons learned from I/ITSEC will flow to the entire BGI team through each of our programs, projects and pursuits. “I also anticipate that all BGI attendees will leave this conference with an enhanced perspective and reenergized to continue with our mission to integrate operational, technical, and engineering expertise to enhance customer capability and add value to aviation, training, defense, and national security programs,” said Phil Dismukes, CEO and Founder. BGI creates training solutions for aviation. Our Operational Analysts and Engineers join government and industry partners to develop a variety of advanced training solutions. 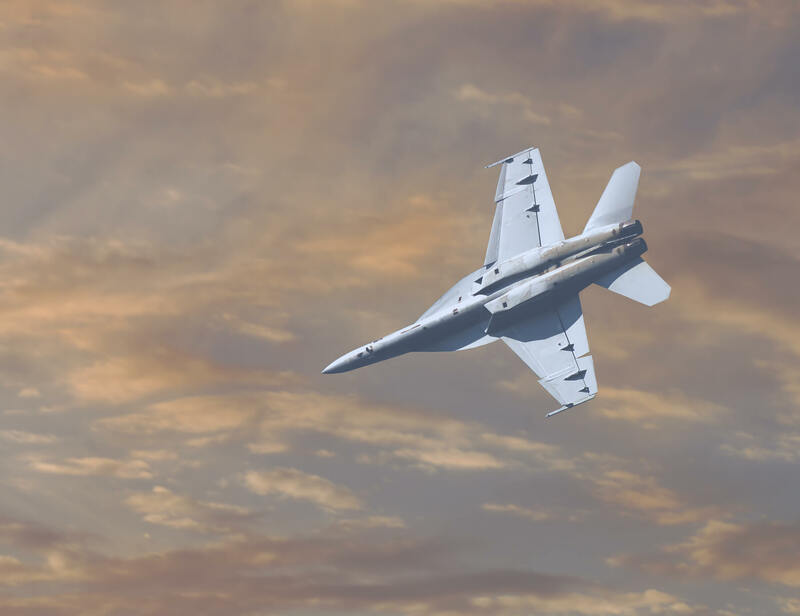 In the area of flight simulation, BGI software engineers and systems engineers provide technical expertise to real-time systems that simulate aircraft for manned devices and battlespace components for constructive entities. These are Fifth-Generation flight simulation systems and are often highly technical and complex. Providing simulation fidelity that mimics the real-world devices requires superior skill. Our employees solve some of the most challenging problems in industry. In the areas of in-flight training and maintenance training, Operational Analysts develop courseware and provide student instruction. Engineers develop technical systems, such as databases and IT systems, that support the curriculum. BGI creates specialized data science solutions for aviation. We help our government customers create enterprise data science systems that benefit the engineers, scientists, pilots and maintainers in the aviation community. Accomplishing this requires teams composed of multiple competencies. The types of systems and data that our engineers work with are unique; aircraft across the military fleet produce a highly fascinating data set with the most challenging problems to solve! Our Engineers develop software components for enterprise systems that store and operate on the data. It’s challenging to store the high-dimension, high-volume data sets in a way that makes it accessible and useful to the aviation community. Operational Analysts on the team are often ex-military pilots or maintainers that have insight into vehicle operations and enterprise logistics. Their knowledge is often in the data, but hidden. Data scientists work to bridge this gap, using collected data to transform information into knowledge and to provide feedback on the usability and accessibility of the data. As an individual with strength in one or more of these competencies, you’ll be a contributor on a team that seeks a higher goal, one that only an integrated team can achieve.